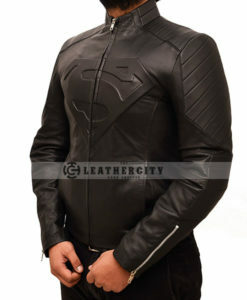 Looking for embrace yourself with phenomenal outwear; you’re at the best place to get the extraordinary hand crafted premium superman leather jackets. 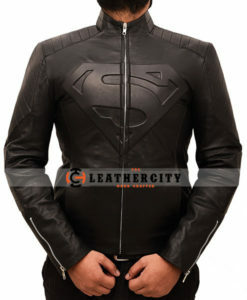 Browse from our all variants of superman from superman movies to smallville series. The fondest memory of our childhood is watching cartoons and superheroes whom all of us idolized and someday wanted to be like them. The most watched and most favorite superhero who was actually a pioneer of the superhero Flicks in none other than Superman. Born and brought up as Clark Kent, Superman is blessed with superpowers of flight, super strength, super speed, heat vision, freeze breathe amongst many others. He is probably the greatest superhero of all times because of his innumerable powers which are exclusively bestowed to him. Superman has stared in lot of films, TV Series, cartoon series and comics and due to his never ending popularity there are still lot of films being made staring him as a lead. The first series of DC Comics staring Superman released in 1938 and continued for the longest time. In 2006 this series was revamped as The Adventures of Superman and featured many issues but in 1997 it went back to its original title Superman and released its third volume which featured many comics like Superman. The man of Steel, Superman: The man of tomorrow, Superman Confidential, Superman Unchained amongst others. There were many TV series based on Superman including Adventures of Superman aired in 1952, Lois & Clark: The New Adventures of Superman aired in 1993, Small Ville Superman series aired in 2001 amongst others. The Fleischer Superman cartoons were the first Superman anime cartoons to get aired in 1941, after that Superman: The animated series cartoons came into being in 1996 and since then a lot of parts of this series has been released. There are around 7 films in which superman was the central character namely Superman released in 1978, Superman II released in 1980, Superman III released in 1983, Superman IV-Quest for peace released in 1987, Superman Returns released in 2006, Man of Steel released in 2013 and Batman vs. Superman-Dawn of Justice released in 2016. In Superman I, II, III and IV Superman was played by the dashing Christopher Reeve, Brandon Routh played Superman in Superman Returns and the latest entrant who is playing Superman in all the latest flicks including Man of Steel and Batman vs. Superman is Henry Cavill. The Character of Superman in all these movies is of a savior who saves the city and the planet, His persona is of a loner but an extremely dignified person who can put anything at stake for the safety of others. It won’t be wrong to quote that Superman loves humanity and doesn’t seek to emphasize the flaws in humanity, but rather seeks to emphasize the strengths in humanity. He is a moralist and considered a cultural icon in USA. 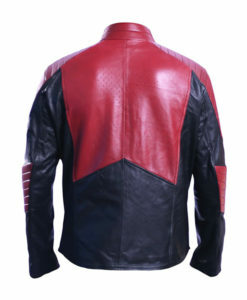 He resides in American city of Metropolis and works as a journalist when he gets time from saving the world. His love interest is Lois Lane and his biggest archenemy is Lex Luthor. The prequel and sequels of Superman movies are all about this quintessential Superhero fighting villains and saving lives. 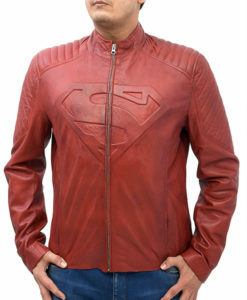 He is the most successful commercial superhero only because masses connect to him and this is evidenced by the fact that his red and blue hued costume with the Superman logo is adorned by trillions of fan till date. 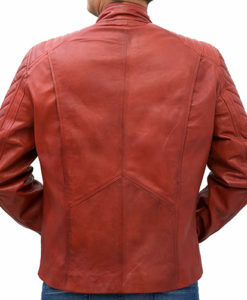 People who even are not big fans of Superhero flick are familiar with the superman costume. The fitted blue costume with red cape and red underwear on top of the costume make it so quirky and unique that right from its inception people are drawn towards it. In fact studies suggest that it is the most worn costume on Halloween which proves its popularity. People regardless of age and gender have adorned this costume in love of their idol. 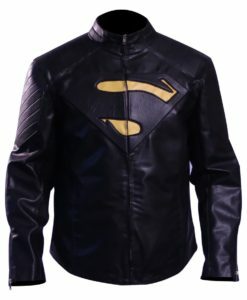 The Superman costume gained a lot of popularity but it is not practical to wear it anywhere else, hence Superman jackets came into existence. 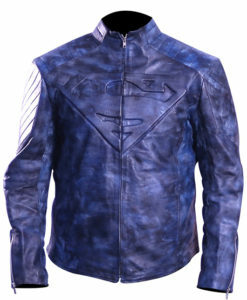 Superman adorns leather jackets in many of the movies and TV series including Small ville Superman series, The Man of Steel etc. 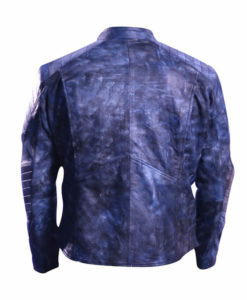 and to be honest they are more feasible and comfortable to wear along with being practical and stylish. 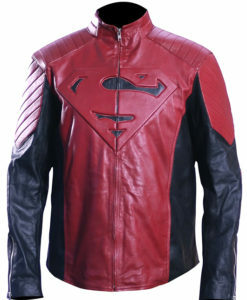 These Superman Leather jackets are the current favorite of diehard fans of Superman and if you are one of them and wish to acquire such jacket then you have come to the right place. 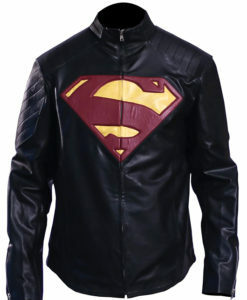 Crafted with supreme quality of Genuine/Faux fur with polyester lining, these Superman jackets are extremely durable and comfortable. 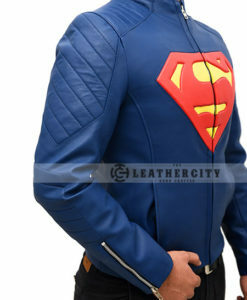 The most eye catching and statement making part of these panache exuberating jackets is the logo of Superman which is embossed on the chest area of the jacket in two parts which separate when the zipper is open making it uber cool. 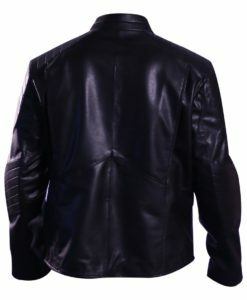 With semi-aniline and glossy leather finish it can wow anyone within your vicinity. 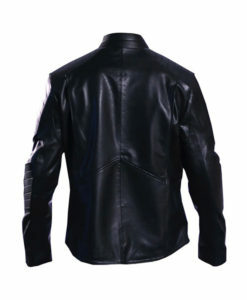 The YKK zipper closure and the fashionably agreeable collars with inner pockets raise its style quotient to infinity. So what are you waiting for? 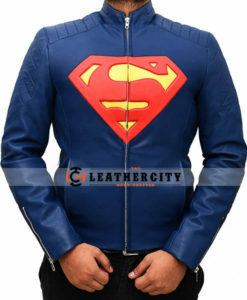 Pay homage to the superhero by adorning Superman’s leather jacket.